Eternity is real. Are you ready? We live a few years, maybe 60, 80, or even 100, but eventually, we all die. My friend, are you ready? To decide to “not think about it” is the ultimate in denial of the obvious. You’re going to die. So am I. What happens after death? Is there a way to prepare for the after-life? I’m absolutely convinced that there is indeed life after death, that man does have an immortal soul, and that our choices, our beliefs, in this life, are essential in determining our final destiny. The Bible talks about heaven and about hell. Jesus Himself spoke of both frequently — and He mentioned hell even more than He did heaven. If there is even the slightest chance that there is indeed an eternal hell, as the Bible says, wouldn’t you want to know how to avoid it? 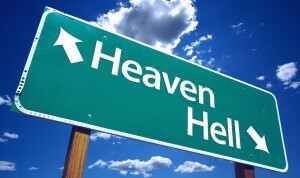 And if there really is an eternal heaven, as the Bible says, wouldn’t it be wise to try to figure out how to get there? The Bible has answers to these questions. It says, to summarize, that man has a problem. Every person has a sin nature — we are bent toward sin. It doesn’t mean we all sin as much as we could, but it does mean that we sin sometimes. Who has ever had to teach his child to steal a toy, or disobey, or throw a tantrum, or lie? It is built in to all of us. We’ve all lied, stolen, hated, looked with lust, taken God’s name in vain, and/or coveted something that belonged to someone else. We’ve all done things we know to be wrong. 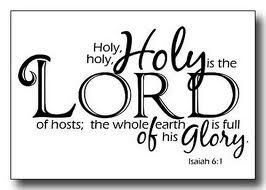 God is perfectly holy, and we aren’t good enough to get to heaven. No one is. But God has made a way whereby we can have complete and total forgiveness of sins, and not only that, but also be credited with the perfect righteousness of Jesus Christ. A person can be made right with God by humbling himself, recognizing that God is holy and he is not, that he needs forgiveness, that he believes in Jesus Christ alone for salvation, that Jesus was born of a virgin, lived a perfect (sinless) life, that He was crucified on the cross for his sins, that Jesus was dead, buried, and rose again bodily on the 3rd day, in victory over death. This person willingly submits himself to the authority of the Lord Jesus, and desires to follow Him all the days of his life. That is what it means to become a Christian, to be “born again”, born spiritually, to receive spiritual life. That, my friend, is how you can have assurance of heaven and avoid eternal hell. Trying to be a “good person”, or doing good works, will never save us. 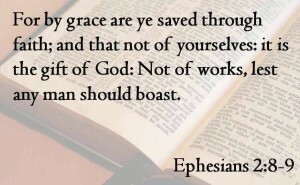 Ephesians 2:8-9 tells us that we cannot be saved by works, but only by grace through faith, and even those things are a gift from God. Another short article (with Scripture references), called “Who do you think that I am?” can be found here. Would you spend just a few minutes and read it? Or, check out this site that has a more thorough gospel message: RUforgiven.org . For some of you, you may be offended. It isn’t my goal to offend, but I’ll risk it because everyone needs to hear the gospel message. If eternity is real, and if Jesus really is God in human flesh, then you should seriously consider what the Bible says about Christ’s claims and think about His offer of salvation. To be quite blunt, your eternal destiny depends on it. Eternity is real, and Jesus is Lord, and He offers forgiveness, salvation, and a right relationship with God. Won’t you at least think about your eternal destiny and His plan of salvation, before it is too late? Go find your Bible, and check out the two links above, and see if you might change your mind and turn from sin (repent), and turn in simple trusting faith to Jesus Christ, asking Him to save you. Take the 3-minute challenge: everyone has heard of John 3:16 — the challenge is to read it in its context — the entire chapter 3 of the gospel of John (4th book in the New Testament). It only takes a few minutes. Even better, read the whole gospel of John. 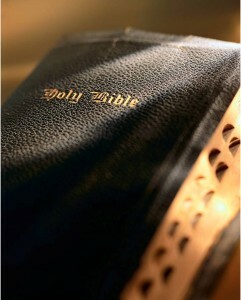 Or read Matthew’s gospel, or Mark’s or Luke’s — and see the whole story of the Lord Jesus Christ. Here is a short video called “the good person test”. Are you a good person??? Here is another video to watch — “180 movie” — you won’t be bored!